Players Want "Maximum" Punishment For Sterling, But What Can The NBA Do? Kevin Johnson has made very clear the NBPA's stance on how the league should handle Clippers owner Donald Sterling. "They want the most severe sanctions that are allowable under the NBA guidelines," Johnson said today on CBS This Morning. But what exactly is allowable? "The players asked this particular question: They want to know within the bylaws and the constitution, what are the maximum sanctions that are available for the commissioner to mete out? That's what we're trying to understand, and that is what the players want. And if it allows a player to voice an opinion where a commissioner and owners make a decision to remove somebody, then that's certainly what the players would like to see." Johnson couldn't have been much clearer. 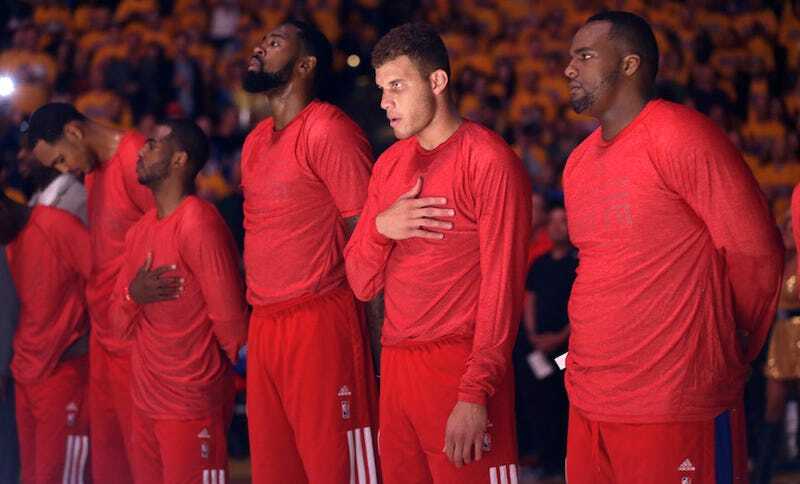 The NBPA player reps don't want Donald Sterling to own the Clippers anymore. The big question is whether or not that's within the league's power. The NBA's constitutional bylaws are confidential, but some believe there is a mechanism in place to remove Sterling. Like Jeffrey Kessler, the prominent sports attorney who represented the players during the last work stoppage. (Kessler accused owners of treating players "like plantation workers," a comment that so infuriated David Stern that Kessler had to step away from negotiations so a deal could be struck.) Kessler told the Wall Street Journal that the league has the power to force Sterling to sell the Clippers. "Requiring the sale of a team would be the most severe sanction," said Kessler. "But I believe the NBA would take the position that the commissioner has the necessary authority to take action." But sports law expert Michael McCann, writing in Sports Illustrated, says that the constitution was never meant to cover a situation like this, when an owner would be forced out due to the sheer public embarrassment of letting him remain. The bylaws, McCann says, "cover very limited circumstances and these circumstances concern team finances — namely, when an owner can't pay his bills." If the NBA's owners decide they want Sterling out, they may not need to rely on a bylaw facilitating that specific punishment. In his own press conference, commissioner Adam Silver made reference to "broad powers" in the constitution that allow for "a range of sanctions." There is undoubtedly some bylaw granting the league discretion to address situations not covered elsewhere. This would be one of those, and if the move had the support of enough of the owners—and the league's lawyers believe it would hold up—the NBA could find a way to pressure Sterling to sell. It could be done informally as well. That's essentially what happened in 1983, when David Stern leaned on Cavaliers owner Ted Stepien to sell the team. But Stepien's Cavs were poorly run—they traded away draft picks hand over fist, and in the face of declining attendance, Stepien had begun agitating about moving the team. And Stepien had only owned the franchise for three years; Sterling is the longest-tenured owner in the league. "This is a defining moment in the history of the NBA," Johnson said yesterday, and he wasn't talking about the Clippers' inside-out warm-ups. David Stern's NBA had long known about Sterling's beliefs (and more importantly, his discriminatory practices that actually affected people), and was just hoping for Sterling to die before he did anything else controversial. Adam Silver's NBA is confronted with the choice and the opportunity to stop waiting. No punishment the league could levy on Sterling would be particularly satisfying. A fine, even of millions, wouldn't stress an 80-year-old man with a net worth near $2 billion. A suspension would keep him away from the team, but it's hard to see Sterling not doing that anyway. Even pushing him to sell just means he'd pocket somewhere north of $600 million, for a franchise he bought for $12.5 million. But if you believe in poetic business transactions, Yahoo Sports reports that Magic Johnson is interested in buying the Clippers.